Give your little one a lifetime love of water. Our gentle, play-based instruction keeps babies and toddlers giggling as they transform into safe, relaxed and capable young swimmers. Infants can swim with us beginning at 6 months. Whether you are ready to race or need to overcome a fear of the water, we have a class geared for you. Our outstanding coaches, industry-leading teaching methods, and cutting-edge technologies will keep elevating your game as your skills grow. Learning to swim can be one of the most memorable experiences of childhood. From basic safety skills to our Kids Swim Team, Chicago Blue Dolphins enable your little ones to cherish their time spent splashing, playing and swimming in the water. Never felt comfortable in the water? You're not alone. Our Adult Learn to Swim Classes are in high demand. We can help you overcome a fear of the water, learn to swim, and give you every reason to enjoy beach vacations with your family. Want to improve your triathlon or open water swim? We use the industry-leading Total Immersion method in our classes and training programs. We develop the specific skills and conditioning you need to be successful -- no more garbage yardage and mindless laps. At Chicago Blue Dolphins swim school, we combine a passion for swimming with excellent, patient coaches in our one-of-a-kind Swim Studio. Whether you’re a beginning adult swimmer or want to enroll your baby, toddler or school-aged kid, we have a swim class for you to dive into. Our small classes allow for personal attention, and our warm pools ease anxiety and improve focus. With coaches who are like ‘swim whisperers,’ our teaching methods work for beginners and triathletes alike. We teach toddlers to swim on their own, without "floaties" or noodles. We’ve helped countless adults overcome their fear of the water, even when they’ve tried to learn how to swim elsewhere. And for triathletes, we offer real-time 360-degree visual feedback that leads to tangible improvements. If you’re genuinely interested in learning how to swim or how to hone your existing swim skills, Chicago Blue Dolphins is your best choice in the city, hands down. 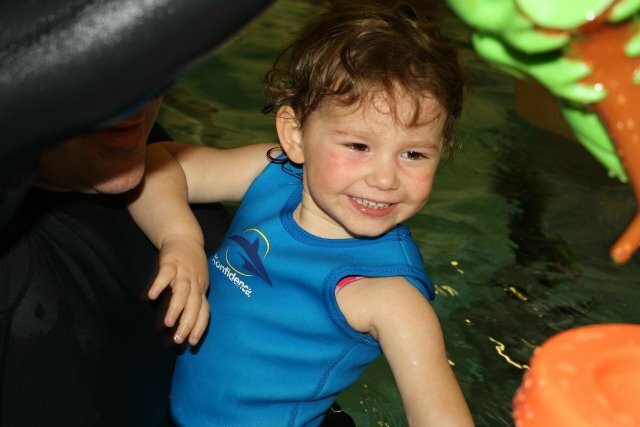 We start as early as 6 months with our baby and toddler swim lessons. We take a gentle, no-tears approach when teaching your little one to swim and be safe in the water. Our parent-child classes let you bond with your child and join in the fun. Our kids swimming classes are for ages 4 and up. We emphasize relaxation and building water confidence before teaching we teach competitive swim strokes. Lessons include deep water skills to ensure our young swimmers are confident in water of any depth. Private lessons are also available. Once kids have completed our core swimming classes, they advance to our Kids Swim Team. 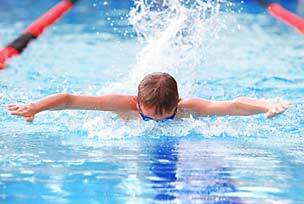 It's an excellent form of conditioning, and your child will learn the key skills they'll need for organized swimming, such as diving and flips turns. We offer targeted, individualized training programs for adults wanting to improve their triathlon, open water or Masters swims. We use endless pools and 360-degree video analysis to quickly and accurately improve your swimming skills. Group, private, and remote options are available. Afraid of the water or just never learned how to swim? 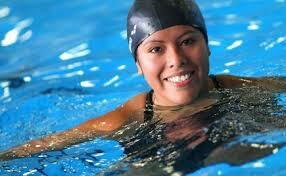 Our adult swimming lessons are among our most popular offerings. We can help you overcome your fear and learn how to swim so you can enjoy water vacations, swimming with your kids or swimming for fitness. 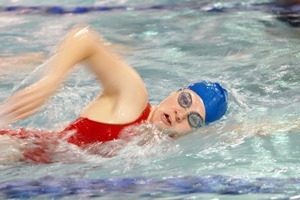 Many competitive swimmers spend countless hours trying to improve their form and efficiency. We use Endless Pools and 360-degree video feedback in our cutting-edge Swim Studio to help you improve faster and with more precision.